Este trabajo recoge reflexiones hechas en diferentes momentos sobre el tema de la crisis institucional en Venezuela. El establecimiento de la democracia venezolana ha tenido un camino difícil, lleno de avances y retrocesos, donde ha sido importante la paciencia de la sociedad, ante una sucesión de gobiernos deficientes y desacertados, que han representado un modelo político resistente a las presiones sociales, hasta provocar su agotamiento. La institucionalidad política en Venezuela en los últimos veinte años, ha sido un reflejo de las trampas de la búsqueda del poder como un fin. La perversión de mantener un orden institucional, cada vez más alejado de la sociedad, abrumado por los excesos de la élite en el poder, condujo inevitablemente a la sustitución de una élite por otra, completamente diferente en las formas, pero muy similar en su capacidad destructiva. The Chávez Way by Robert Skidelsky – Project Syndicate. Did Chávez Help the Poor? | Americas Quarterly. Not everyone in the Opposition was convinced that with the October 7 elections the political chapter was to be closed for another six-year presidential period. There had been a sustained skepticism surrounding Hugo Chavez and his true health condition, although some also were persuaded that it had been a well-conceived act put to exploit the “people‘s“ affection and win comfortably his presidential bid. In such a polarized political scenario, no one would dare to assure or assess the upcoming political situation for the country. When, in a national address on December 8, Chavez told the venezuelans he was leaving for Cuba, in order to have a new surgery, he appointed his heir, Nicolás Maduro, the Vice President, to be his “possible successor“ in case he wouldn‘t be in conditions to assume Office. From that moment on, speculations began and since they have only become worse, not only because of Chavez long absence, scarce “proof‘s of life“ and mysterious arrival, but the incontrovertible fact that there is no legitimate Government, even with the nuance of approval from de Supreme Justice Tribunal, it has given not only the Opposition but his own followers any motive of trust towards what heads in the future in relation to the President and his exercise of power. Meanwhile, political parties among the Democratic Unity Table (MUD) battle internally with their own demons as well as with those in charge of the Government, who accuse the Opposition of being senseless and inhuman as they demand information about Chavez and when will he assume Office. But the truth within is that the Opposition knows it needs to prepare for a very possible presidential election in a short time, only that it must, out of respect for the President‘s health condition, show some discretion, as well as the very little resources it was left with after the campaign last year, which is in any way a concern for the Government in case there is a new election. This overlook is not easy at all, there is a lot of advantage for the Government, not only because of their control of the political institutions that could eventually put the problem into debate and resolve it but, the personal health issue is a sensitive one that has much more influence on people than the absence of Government by itself. What is missing here in this equation is the economical perspective, that could be, if only, the probable cause for the Government to loose grip of the country. That has just started with the devaluation of the local currency (Bolívar Fuerte), for a 46,5% approximately, dragging the country in a spiral of inflation and shortage of goods, a problem that is not new and has not been addressed by the Government, with the ticking time bomb of a much more strong need for further policies to correct the insufficiencies the budget is presenting, the much feared rise of gas, a decision that since the Caracazo, (February 27, 1989) is seen as a social explosion cause. The country is divided, there is a political crisis of great dimensions, a social fracture as well, and to seal this time bomb, there is a failure to create conditions for an oil-based economy with enormous income to make wiser decisions regarding its redistribution. The problem is not only the financial burden of Cuba, Bolivia and Nicaragua in Venezuela‘s economy, it is also the domestic policies such as gas subsidized prices that put a toll on the economy that it no longer can resist. 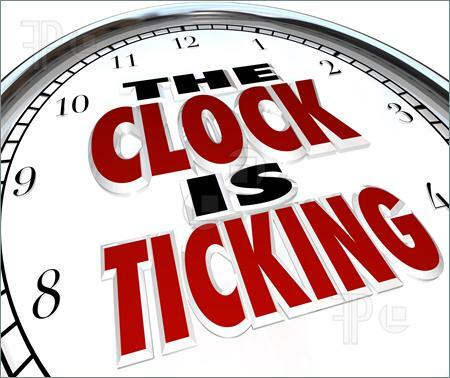 The clock is still ticking and it seems no one is ready to deactivate that bomb.